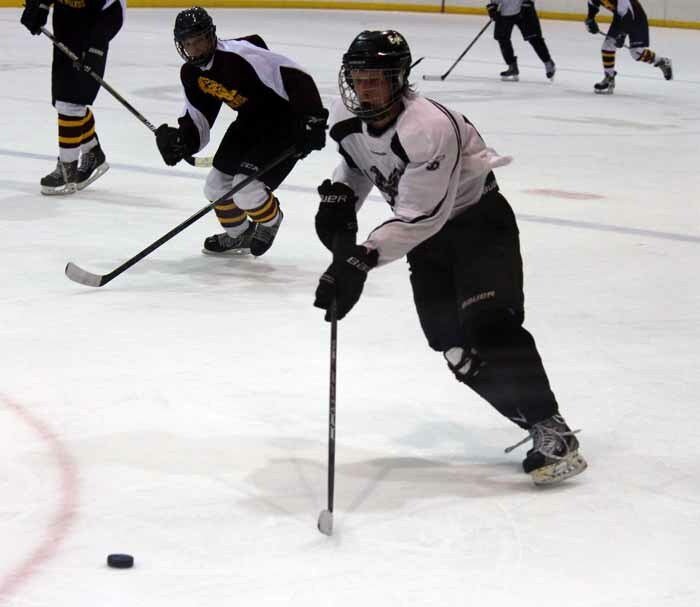 After adjusting to the combination of their hockey for the first time this year, the players and coaches of Judge Memorial Catholic High School and Juan Diego Catholic High School overcame feelings of rivalry, as the team reached the quarterfinals of the playoffs. The Catholic Independent Griffins hockey team consisted of nine Juan Diego and 13 Judge players, with three coaches from each side. The two primary coaches were previously the head coaches of the two teams – Moe van der Sluys from Juan Diego and Tony Musci of Judge Memorial. The Griffins’ season ended with a record of 6-11-1 as the team scored 60 power-play goals over the course of the season. “I would say this team wasn’t the most talented team we have had, but it was one of the better records and the furthest run in the playoffs,” Coach van der Sluys said. The team did have a short losing streak in the middle of the season, losing most of the games by only one goal, with the deciding goal usually scored in the last few seconds. Once the postseason came, the team started playing together by combining their passes, making it to the goal and finishing. “This team came together in the playoffs,” Musci said. During the season, specific players from both sides stood out, according to van der Sluys. Among those are the three leading scorers—Andrew Aubry, Morgan van der Sluys and Christopher Panek. Aubry, a Judge senior, was the top scorer for the Griffins, scoring 18 goals. 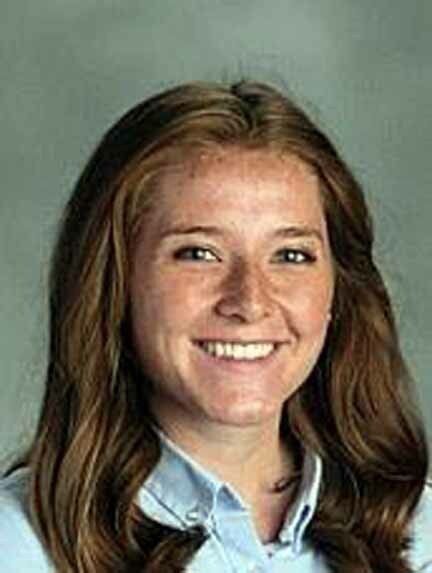 The alternate captain of the hockey team is Morgan van der Sluys, a Juan Diego senior who has been playing hockey since he was in third grade. He says he has been so grateful to lead his team this year and help the younger players develop. “Hockey has been a great experience for me. I have taken a lot of advice that has made me a good player,” Morgan said. He scored six goals and had 13 assists, and tied for fourth place in overall assists in the North Division. “I’m really proud of how he [Morgan van der Sluys] took in the younger players, the freshmen and sophomores, and tried to build that team,” Coach van der Sluys said. Christopher Panek, a freshman at Juan Diego, was the team’s second highest scorer, knocking in seven goals for the varsity team. “He really took it to another level,” Coach van der Sluys said, in describing Panek. Coach van der Sluys says combining these two teams took a lot of work from the coaches on both sides and the administrators of both schools. They went through a process of asking the league and earning permission in order to combine the two schools. The teams ended up choosing each other to work with because they are the two biggest Catholic schools in Utah and “we have the same values—same guidelines, if you will—for sports,” Coach van der Sluys said. Once they did combine, “at first there were growing pains on far as how we coach and play,” Coach van der Sluys said. In trying to break down the stereotypical barrier of Judge versus Juan Diego, the team chose the name Catholic Independent Griffins. He said that early in the season, the team struggled to overcome their mentalities of a rivalry between Judge and Juan Diego. Coach Van der Sluys’ main goal is to make sure all of the players are having fun and developing their individual skills while playing. He is especially happy with how the Juan Diego team reacted to the combination, and how they were able to grow and achieve success. The coaches are not sure if the two teams will stay combined for future seasons. “We can have an influx of all these new freshmen or transfers, and all of the sudden we have enough players to form our own team, or it could go the other way,” Coach van der Sluys said. 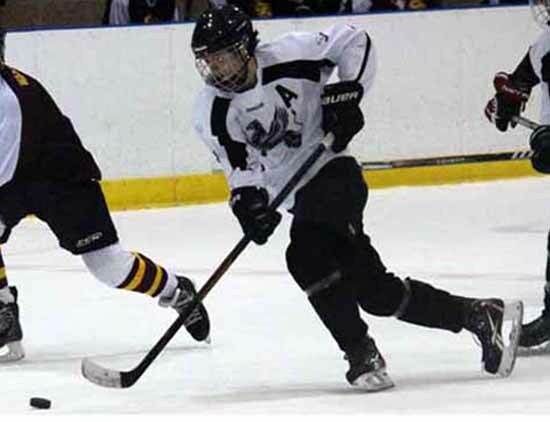 Juan Diego students who are currently on travel hockey teams may want to play next year, which could mean reforming the independent Juan Diego hockey team. 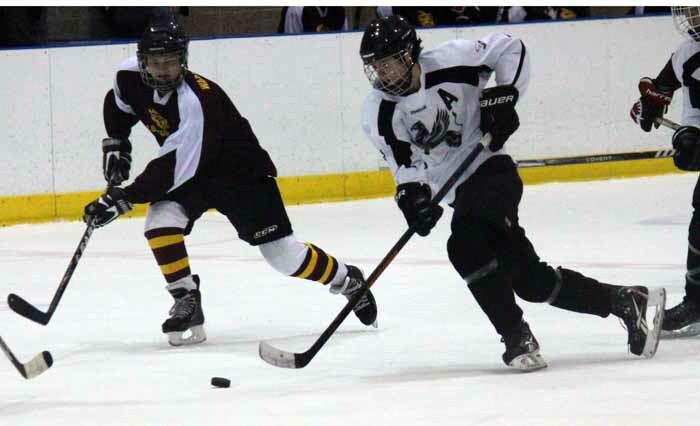 Coach Van der Sluys also formed a feeder hockey program at Saint John the Baptist Middle School, hoping to lead to a larger number of Juan Diego players in the upcoming years. Juan Diego Catholic High junior Melissa McFarlane wrote this story as part of the Preps Utah/Nu Skin student journalism program.